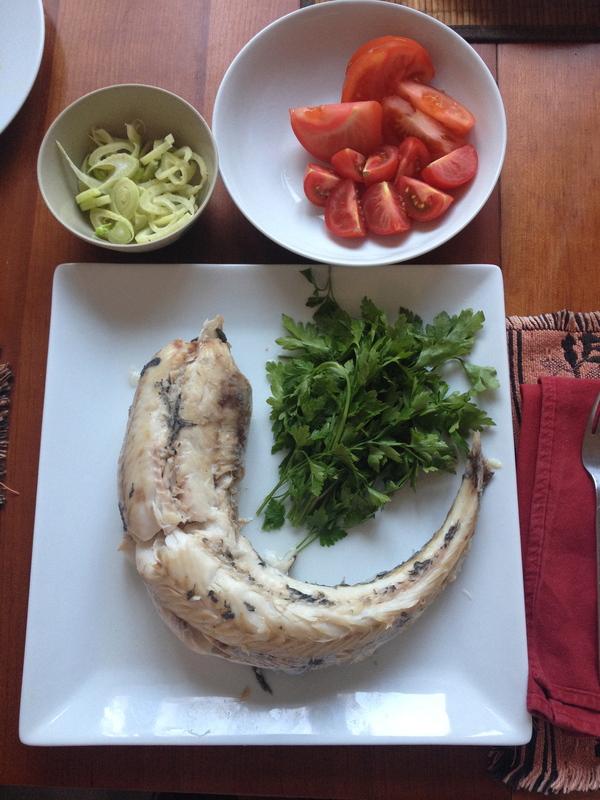 One of our final meals from our year in Paris: poached colin (hake) served with steamed potatoes, fresh tomatoes, fennel, parsley, and homemade chive mayonnaise. yum! Published: June 20, 2014 Dimensions: 2448 × 3264 Posted in: Kitchen Gallery Post a comment or leave a trackback: Trackback URL.